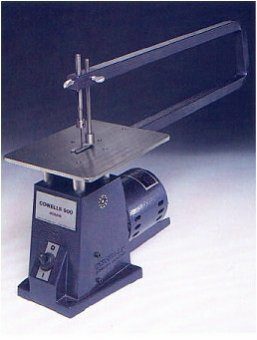 Manufactured to close tolerances, the Cowells jigsaw is a sturdy, easy to use machine for those engaged in craft work of all kinds. The machine will cut plastics and thin metals, for example 3mm brass, and will also cut wood up to a thickness of l9mm. The steel table is ground on its upper face providing a perfectly flat and smooth surface for the movement of the workpiece when cutting. 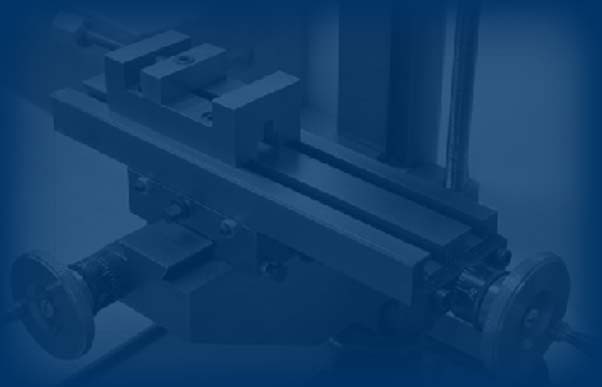 The machine accepts standard fretsaw, coping and piercing saw blades and cuts on the downward stroke. A spring return blade tensioning attachment (Y1) should be used for very fine blades; saw guides are available for thicker blades (Y2, Y3), (the machine is supplied with either Y2 wide saw guide or Y3 narrow saw guide). A safety work hold-down foot is supplied as standard. The jigsaw is supplied with a 375mm - 15" steel throat arm and is fitted with thumbscrews for the easy adjustment of blade guides etc. The body is of die cast aluminium and fitted with a continuously rated motor directly driving the blade clamp spindle through a balanced pitman arm providing 1425 cutting strokes per minute. The stroke is 19mm - 3/4". Table - 160 x 200mm - 6 x 8 "
Overall Depth - 500mm - 20"